Stanley Insurance provides affordable rental reimbursement (RENTAL) insurance coverage for individuals who need a rental car following an accident. In the case of a car accident, many people are left without vehicles while their damaged car is away at the repair shops. This can impact a person's daily routine, as cars are huge parts of our day-to-day lives. In these situations, individuals may need to rent cars to continue to get to the places where they need to be. Unfortunately, car rentals are very pricey. They might end up costing hundreds of dollars by the time a person's car is fixed, which is an extra expense in an accident that the particular person might not have even caused. Fortunately, individuals can help counterbalance the price of a rental with the proper insurance coverage. 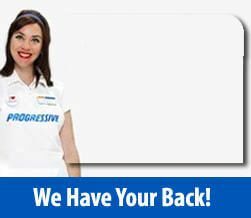 Our car insurance company offers rental reimbursement insurance coverage for drivers in the entire state of Texas, including: Austin, Georgetown, Red Rock, Fischer, Hutto, Wimberley, West Lake Hills, Burnet, Smithville, San Marcos, Kyle, Lakeway, Pflugerville, and in other nearby communities. Rental car reimbursement insurance covers a person's rental car whenever he or she is in a crash and can't use their own car for some time. You will need to keep in mind that these policies usually do not take care of rentals when a person's car is in the shop as a result of mechanical failure or routine servicing. For a small charge every month, people can make sure that they're not going to be stuck with a high rental car bill when they're in a car accident. This insurance coverage will work regardless of whether or not a person is at fault. This means a person is protected when he or she is to blame and when he or she is not to blame. Adding this coverage to your existing car insurance policy generally is not difficult at all. Your agent will be able to provide you with more customized information based on your existing car insurance policies. We will also be able to provide you with a quote so you know how much the rental reimbursement coverage will cost you each month. Please feel free to contact Stanley Insurance for more information about our rental reimbursement coverage. We look forward to hearing from you soon!